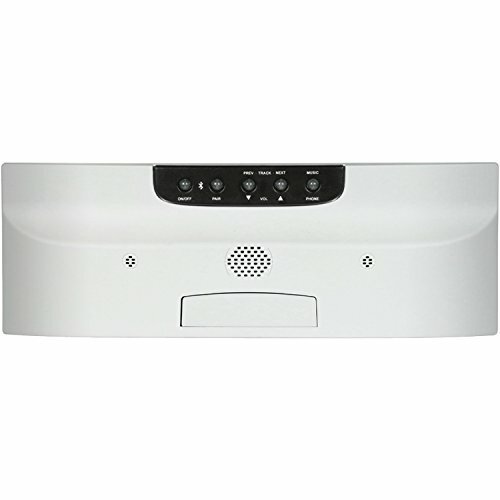 The M&S Systems Music/Intercom System with Bluetooth Player (White) offers music playback and adds wireless streaming capability from smartphones, tablets and other Bluetooth-enabled music/audio streaming products. It can function as a wall-mounted speakerphone, allowing users to use their Bluetooth-connected smartphone to accept calls by simply clicking a button on the unit (without picking up the smartphone). It even has a pop-out dock to hold a smart phone!